This place is perfect for students and those working nearby who are looking for an affordable lunch or dinner option. 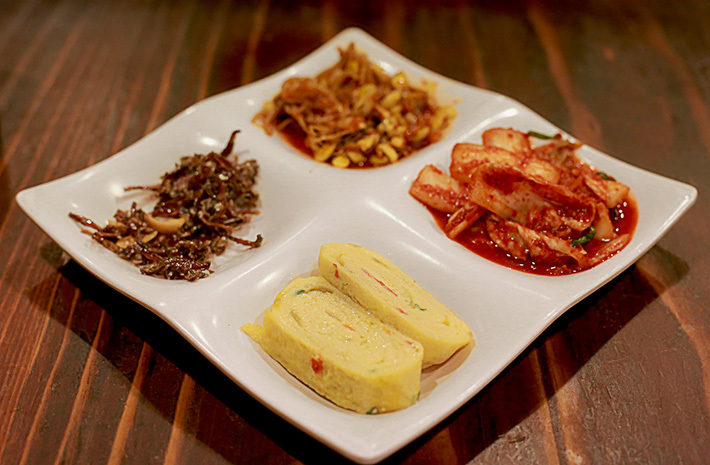 Most Korean restaurants offer free side dishes to go along with your meals and this is also a practice at Ming Jia Korean Food too. The fresh kimchi helped to induce our appetites before we got started on our main courses and we enjoyed the fluffy egg rolls as well. The only thing to note is that the side dishes are not free flow. The Yung Yang Dolsut Bibimbap (S$13.90+) comes with aromatic beef slices and generous portions of vegetables and mushroom. You get a seaweed soup with every order of a Bibimbap. Ming Jia Korean Food’s Kimchi Sundubu (S$13.90+) is a traditional soft tofu stew with kimchi and comes with a bowl of white rice. The soup arrived boiling hot from the kitchen with a strong fragrant kimchi smell. This is a hearty bowl of kimchi soup which does not disappoint. Ming Jia Korean Food is a popular dining destination so try to go during non-peak hours or expect to wait for around 15 minutes before you are able to get a table. 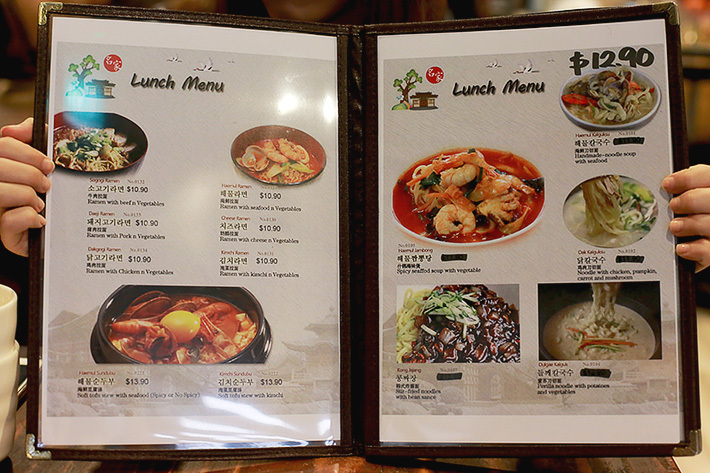 B1-55 is another Korean restaurant operated by China people. 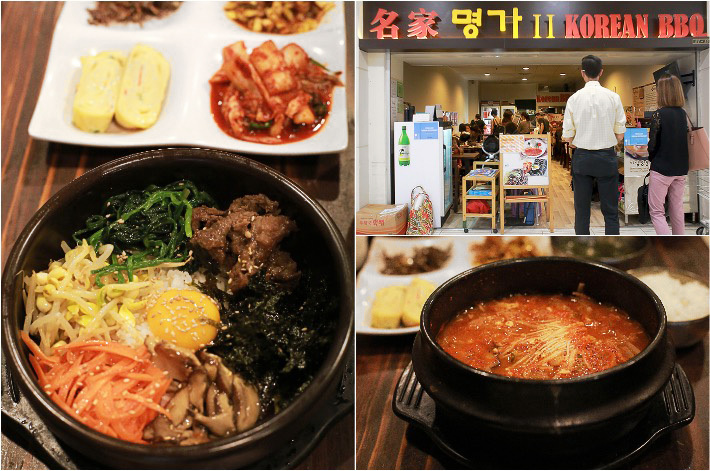 Forget to mention, the contact +65 6469 5123 and the operating hours Daily: 12pm – 4pm, 6pm – 9pm are also for Korean restaurant operated by China people B1-55. We had just visited B1-07 per the unit number listed above and we were very taken aback to be served the Korean black bean noodle with instant noodles…the most terrible Chinese Korean food we have had…both had the same signboards but we are vnow very sure that #B1-55 must’ve been the correct restaurant. Very disappointed!